When will be Flip or Flop Vegas next episode air date? Is Flip or Flop Vegas renewed or cancelled? Where to countdown Flip or Flop Vegas air dates? Is Flip or Flop Vegas worth watching? 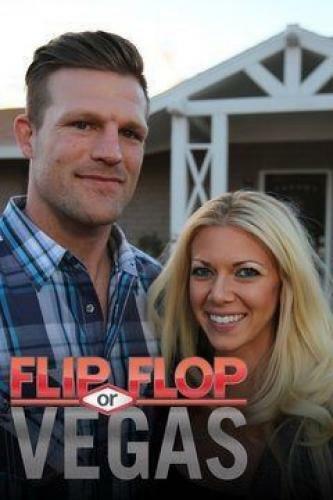 On Flip or Flop Vegas, MMA fighter Bristol Marunde and his wife Aubrey are hitting the Las Vegas real estate jackpot one flip at a time. With his demo strength and her design sense, they're scooping up some of Sin City's most neglected homes and transforming them into stunning showpieces worthy of their high roller zip code. For these Vegas Builders, you've got to bet big to win big. Flip or Flop Vegas next episode air date provides TVMaze for you. EpisoDate.com is your TV show guide to Countdown Flip or Flop Vegas Episode Air Dates and to stay in touch with Flip or Flop Vegas next episode Air Date and your others favorite TV Shows. Add the shows you like to a "Watchlist" and let the site take it from there.